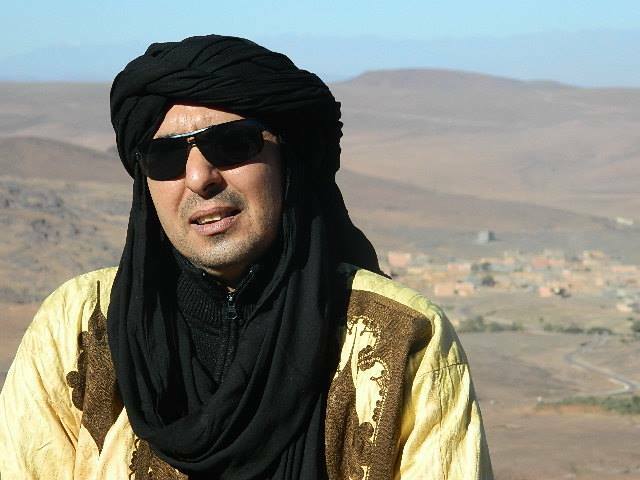 Abdsamad Naciri is a native of the town of Zagora, at the edge of the great south-eastern desert in Morocco, the Sahara. The tenth child of a large, traditional family of Zaouia al Baraka, the historic area of the city, he grew up in classic Moroccan fashion with a farming father and a mother who looked after the home, close to nature, seasons and the desert. The family earned its living from cultivating dates and cereals in the palm groves of Zagora, the largest in Morocco, and from keeping animals. Attracted by the north and pushed out of his native region, like so many others, by drought and the rural exodus, Abdsamad came to the Marrakesh area where he has carved out a career in tourism. Warm, generous and open – like the land he comes from – his greatest pleasure is showing his country to foreigners, recounting its ancestral traditions and customs and sharing its culture and history. He has over 10 years of experience in the world of tourism and in organising excursions for small groups throughout Morocco.